There are many causes of intense, painful itching. According to MedlinePlus, itching causes skin tingling or irritation that compels a person to scratch the affected area. This itching is a symptom of many medical conditions, although most itching is not serious. Certain causes of itching may require medical attention, however, especially if the itching is persistent, painful or has no apparent cause. Poison ivy can cause intense, painful itching. 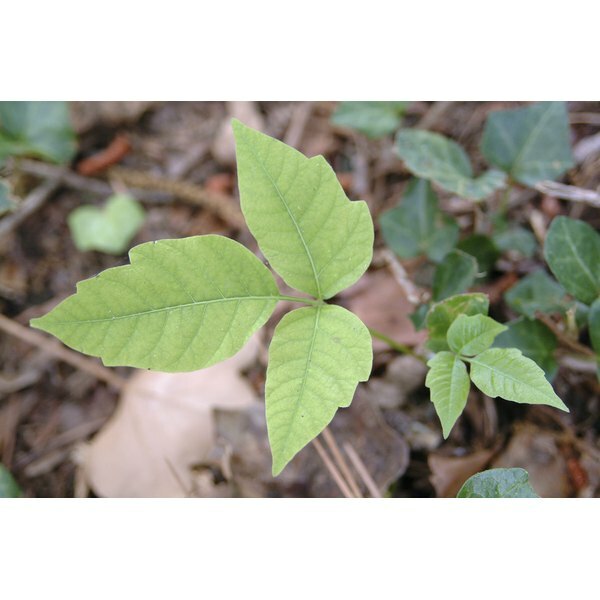 According to the American Academy of Dermatology, poison ivy is a plant that contains urushiol. Poison oak and poison sumac also contain urushiol. When urushiol makes contact with the skin, it can cause an allergic reaction and an intense, painful rash. The AAD states that there are three ways a person can acquire a poison ivy rash: direct contact with urushiol, indirect contact with urushiol and airborne contact with urushiol. MayoClinic.com states that common signs and symptoms associated with poison ivy rashes include redness, itching, swelling and blisters in the affected area. According to the AAD, an allergic reaction usually does not occur the first time a person is exposed to urushiol. With repeated exposure, however, a urushiol sensitivity develops that leads to rash formation. Shingles can cause intense, painful itching. The National Institute of Neurological Disorders and Stroke states that shingles, also known as herpes zoster, is an outbreak of rash or blisters that occurs in a band on one side of the body. It is caused by the varicella zoster virus, the same virus that causes chickenpox. The shingles-related rash or blisters are usually preceded by a burning or tingling pain, numbness or an itch in the affected area. A rash of fluid-filled blisters will eventually appear anywhere from several days to a week after a person feels the initial symptoms. The NINDS notes that shingles pain ranges from mild to severe, although some people experience only itching. Some people with shingles exhibit extreme skin sensitivity, such that light touch, clothing or even a breeze can cause pain in the affected area. Eczema can cause intense, painful itching. According to the National Institute of Arthritis and Musculoskeletal and Skin Diseases, eczema, also known as atopic dermatitis, is a chronic or long-lasting inflammatory skin disease. The NIAMS states that eczema is not contagious. Eczema occurs among people with an inherited tendency to develop a variety of allergic conditions, including asthma and hay fever. People with eczema often have extremely itchy skin. Scratching the affected skin causes redness, swelling, cracking, crusting and scaling. Eczema sufferers usually experience periods of exacerbations--worsening of symptoms--followed by periods of remission or reduced symptom intensity. In some cases, as a person grows older, her eczema may improve or disappear entirely. The skin of eczema sufferers, however, usually remains dry and easily irritated, even if there are no apparent signs or symptoms of the disease. National Institute of Neurological Disorders and Stroke: What is Shingles?